Welcome to Eastimage, one of the world’s leading manufacturers of x-ray scanners and other high quality security equipment. Distributed, serviced and sold under the original and Roteck brand in South Africa and the rest of Africa by Roteck South Africa. Eastimage is a leading manufacturer of x-ray baggage scanners, walk through metal detectors, hand held metal detectors and chemical (drug and explosive) detectors. Holding the mission of “Building a safer world” while encouraging a core culture of “bright & simple”, Eastimage promotes strategic brand and innovation management. With its advanced technology and superior products, gratifying results have been achieved in the areas of civil aviation, road and rail traffic, large-scale international events, major sports events and many other industrial applications. The new Roteck non radiation BagScan has it already, now we can also offer to upgrade any size and model x-ray baggage scanner for fully automated operation in single or dual direction plus wireless remote monitoring on any Wi-Fi enabled or network connected device. Advantages: no permanent site operator is required anymore, no button to activate, no monitor to supervise. 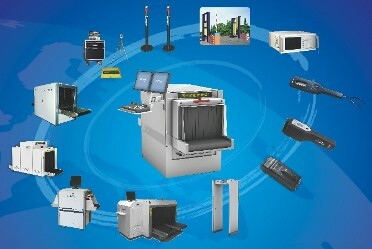 If supported by the original equipment – and all Eastimage scanners are fully supported – automation can be used in both directions to screen incoming and outgoing traffic. Remote monitoring enables for wireless single and multiple viewing on any size monitor, PC or laptop, smart phone, tablet etc. as well as external backup recording; locally within Wi-Fi range or external via Ethernet, intranet or internet. Additional CCTV and audio to monitor the surrounding can also be added to the streamed signal. These additional functions must be supported by the scanner’s hard and software (all Windows versions from XP up). It’s not only convenient and easy to operate but also power saving, and extends the conveyor’s lifespan. Modifications are developed, manufactured and exclusively available at Roteck South Africa and selected partners.